The Chemical Weapons Convention entered into force for Iran on December 3, 1997. Iran made its initial declaration piecemeal in June 1998, January 1999, and March 1999. ted for its previous CW activities or made a full declaration of its current activities in accordance with the OPCW." In its August 2011 Condition 10(C) Report the U.S. State Department states, "Based on available information, the United States cannot certify whether Iran has met its CWPF declaration obligations, destroyed its specialized CW equipment or retained an undeclared CW stockpile.... The United States does not have sufficient information to be certain whether some Iranian facilities may be involved in or retain the capability to produce CW agents, and likewise insufficient information about the disposition of specialized CW equipment used in former CWPFs. The United States also has insufficient information about possible CW activity prior to entry into force of the Convention." The 2013 report stated "Based on available information, the United States cannot certify whether Iran has met its chemical weapons production facility (CWPF) declaration obligations, destroyed its specialized chemical weapons (CW) equipment, transferred CW, or retained an undeclared CW stockpile." On 03 December 2013, Director-General of the Organization for the Prohibition of Chemical Weapons Ahmet Uzumcu hailed Iran as an effective and active member-state of the OPCW. Uzumcu made the remarks in a meeting with Iran’s Deputy Foreign Minister for International and Legal Affairs Seyed Abbas Araqchi on the sidelines of the 18th Session of the Conference of the States Parties (CSP) to the Chemical Weapons Convention which opened in The Hague on Monday. Iranian Ambassador to OPCW Kazzem Qaribabadi was also present in the meeting. Uzumcu referred to Iran’s continued cooperation with the OPCW, and appreciated the Islamic Republic for its positive and constructive approach towards the Chemical Weapons Convention. 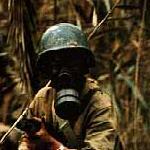 Iran's chemical weapons (CW) program was launched during the Iran/Iraq War, which lasted from 1980 through 1988. Both Iran and Iraq are parties were parties to the 1925 Geneva Protocol, which prohibits the use of Chemical weapons. There was never any doubt that Iraq used chemical weapons against Iran. Tens of thousands of Iranians were killed and wounded by chemical weapons during the 1980-1988 Iraqi imposed war on Iran. Around 100,000 Iranians are still living with the effects, which include long-term respiratory problems, eye and skin problems as well as immune system disorders, psychological disorders, genetic disorders, and probably cancers. Sardasht is a city in Northwestern Iran. According to the 2006 census, its population was 37,000. It lies in the West Azarbaijan province. It was the first city in which civilians were attacked with chemical weapons by former Iraqi dictator, Saddam Hussein during the imposed Iraqi war on Iran. The population of Sardasht is Kurdish. Sardasht is also known for the many villages around it and their reliability on the city's market. On June 28, 1987, Iraqi aircraft dropped what Iranian authorities believed to be mustard gas bombs on Sardasht, in two separate bombing runs on four residential areas. Sardasht was the first town in the world to be gassed. Out of a population of 20,000, 25% are still suffering severe illnesses from the attacks. Iran reported in 2003 at least 100,000 known victims of the use of different types of chemical agents (nerve agents, blistering agents and mixed agents), 35,000 of them were considered serious, due to suffering from long effects of chemical weapons deployed by Iraq (especially mustard gas). The Department of Defense reported that Iran's chemical weapons program started in 1983 as a response to Iraq's use of chemical weapons. They produced their first chemical agent in 1984, but cumulative production is "a minimum several hundred tons of blister, blood, and choking agents." [Office of the Secretary of Defense, Proliferation: Threat and Response (Washington: Government Printing Office, April 1996), p. 15.] Some sources claimed that the Iranians might have as much as 2,000 tons of chemical agent, possibly including nerve agent. [Andrew Rathmell, ``Chemical weapons in the Middle East--Lessons from Iraq,'' Jane's Intelligence Review, December 1995] The US Defense Department's Annual Report on Military Power of Iran April 2012 makes not mention of these capabilties. In a declassified report from 1990 (DST-1620S-464-90, dated 15 March 1990), the Defense Intelligence Agency reported that "Iran used chemical weapons late in the war, but never as extensively or successfully as Iraq." Reports that Iran used chemical agents to respond to Iraqi chemical attacks on several occasions during that war were controversial. Iraq presented chemical casualties to visiting UN chemical experts in 1987 and 1988. These individuals could also have been victims of Iraq's careless use of its own chemical munitions. On 14 May 1987 the UN Security Council stated that Iraqi military personnel had sustained injuries from chemical warfare agents, without actually affirming that Iran used chemical weapons against them. Skeptics argue that the only evidence for the claim that Iran used chemical weapons during the war were unsubstantiated claims of the US government. There were allegations by the US Government at the time that Iran had used chemical weapons against the Kurdish village of Halabja in March 1988. Subsequently, these attacks were attributed by the US Government to Iraq alone. As reported by Islamic Republic News Agency, on 19 October 1988 (two months after the war had ended), Parliamentary speaker (and future president) Ali Akbar Hashemi Rafsanjani declared that "...chemical bombs and biological weapons are poor man's atomic bombs and can easily be produced. We should at least consider them for our defense... Although the use of such weapons is inhuman, the war taught us that international laws are only drops of ink on paper." Iran was believed to have manufactured weapons for blister, blood, and choking agents. It was also believed to be conducting research on nerve agents. Iran's stockpile of CW was believed to include nerve and blister agents. Iran was working on developing a self-sufficient CW production capacity that included more effective nerve agents. Along with its shell and bomb delivery systems, Iran was also thought to have been producing CW warheads for its Scud missile systems. Its production capacity was estimated at as much as 1000 tons a year, with major production facilities located at Damghan, 300 km east of Tehran. Other facilities were believed to be located at Esfahan, Parchin and Qazvin. The Iranian chemical weapons infrastructure was very poorly characterized in the open literature, and given the reported scope of the program some had suggested that as many as a dozen other facilities had some significant chemical weapons development, production, storage or training role. With extensive foreign assistance, Tehran obtained technology, chemical agent precursors, production equipment, and entire production plants. Although Iran made a concerted effort to attain an independent production capability for all aspects of its CW program, especially, its nerve agent program, it remained dependent on foreign sources for some chemical warfare-related technologies. China, as well as Russia were important suppliers of technologies and equipment for Iran's chemical warfare program. Iran signed and ratified the Chemical Weapons Convention (in 1993 and 1997 respectively). Under the Chemical Weapons Convention (CWC), Iran was obligated to eliminate its chemical program over a period of years. In approving the Convention, the Majlis accession statement included the notation that "Accusations by States Parties against other States Parties in the absence of a determination of non-compliance by OPCW will seriously undermine the Convention and its repetition may make the Convention meaningless." According to Article VII of the CWC, each State Party shall designate or establish a National Authority to serve as the national focal point for effective liaison with the Organization for the Prohibition of Chemical Weapons (OPCW) and other States Parties. The Iranian National Authority was established immediately after the ratification of the CWC. It was placed under the Supreme National Security Council. The Regional Seminar on National Implementation of the Chemical Weapons Convention, which was hosted by the Government of the Islamic Republic of Iran and organized by the Iranian National Authority (Ministry of Foreign Affairs) with the cooperation of the Secretariat, took place in Tehran from 22 - 25 April 1996. Participants attended a trial inspection at the Shahid Razakani multipurpose chemical plant in Tehran. The Iranian National Authority, facility management, and the Secretariat jointly prepared for this inspection. In accordance with the inspection scenario prepared and distributed to participants well in advance, a non-scheduled chemical product of the facility had been simulated as a Schedule 2 chemical for trial inspection purposes. The inspection was preceded by a pre-inspection briefing and a post-inspection summing-up as stipulated in Article VI and in the relevant paragraphs of the Verification Annex to the Convention. Iran did not meet the declaration timetable specified by the Convention. Iran's initial declaration was considered incomplete by the OPCW Verification Division, and Tehran subsequently filed an amended declaration. In 1999, Iran informed the Organization for the Prohibition of Chemical Weapons (OPCW) it could be added to a list of countries previously possessing CW. Tehran claimed that it's CW stockpile was destroyed before it became a state party to the CWC, and thus not verifiable by the OPCW. Iran did declare two former CW production facilities. The Organization for the Prohibition of Chemical Weapons verified that at least one of the Iran's CW production facilities had been eliminated. The Chemical Weapons Production Facilities declared by Iran had been fully inactivated and verified by OPCW inspectors. In 1997 the Iranians claimed that their CW capabilities had already been destroyed. In November 1998, Iranian ambassador Mohammad Alborzi's presentation to the 3rd Conference of States Parties (CSP) to the CWC in The Hague included the admission that Iran had sought to chemical weapons during the Iran-Iraq war, but "Following the establishment of the cease fire [in July 1998], the decision to develop chemical weapons capabilities was reversed and the process was terminated..."
According to the CIA's first of 2 unclassified reports to Congress on the Acquisition of Technology Relating to Weapons of Mass Destruction and Advanced Conventional Munitions (Sect. 721 reports) in 1997 "Iran already has manufactured and stockpiled CW, including blister, blood and choking agents and the bombs and artillery shells for delivering them." The DoD, in the Proliferation: Threat and Response of the same year confirmed the CIA's findings and also concluded that Iran was researching various nerve agents as well. John A. Lauder, Director of the DCI Nonproliferation Center, testified before the Senate Foreign Relations Committee, on 5 October 2000 : "We believe the program remains active despite Tehran's decision to ratify the Chemical Weapons Convention (CWC). Iran has a large and growing CW production capacity and already has produced a number of CW agents, including nerve, blister, choking, and blood agents. We believe it possesses a stockpile of at least several hundred metric tons of weaponized and bulk agent. Tehran's goals for its CW program for the past decade have been to expand its production capability and stockpile, reach self-su?iciency by acquiring the means to manufacture chemical production equipment and precursors, and diversify its CW arsenal by producing more sophisticated and lethal agents and munitions." It was intended that destruction and/or conversion activities was to be completed within 10 years of the Convention entering into force in 1997. The Convention provided for the possibility of a one-time extension of the final chemical weapons destruction deadline by up to 5 years, to 2012. In 2007, Albania became the first State Party to complete destruction of its entire CW stockpile. This achievement was confirmed by the OPCW on 11 July 2007. On 8 December 2000, a statement by the Director-General of the OPCW said in part, that "the Secretariat wishes to reiterate that it has no reason whatsoever to question Iran's full compliance with the CWC, and that the application of verification measures in Iran is strictly in accordance with the Convention. There are no grounds for any concern or ambiguity in this regard. Furthermore, all verification activities in the Islamic Republic of Iran have been conducted in an atmosphere of openness and transparency, and with the full cooperation of the Iranian Government. Equally, none of the 140 other States Parties has raised any such concerns within the OPCW, which is the sole competent and legitimate authority to verify compliance with the Convention." The United States publicly accused China, Iran, Russia, and Sudan of violating the CWC, but had not pursued these allegations through challenge inspections through the CWC. At the First CWC Review Conference, held between April and May 2003, the delegate of the Islamic Republic of Iran: H.E. Dr. G. Ali Khoshro Deputy Foreign Minister of Legal and International Affairs stated that "I have to recall the fact that due to the lack of reaction by the international community against Iraqi chemical weapons attack during the 8 year imposed war, in the last phase we got the chemical capabilities, but we did not use it, and following the cease fire we did decided to dismantle [it]. We did destroy the facilities under the supervision of the OPCW inspectors and we got the certificate of the destruction of CWPF." In the first half of 2000, according to both the Director and the Deputy Director of the Director of CIA's Nonproliferation Center, Iran was estimated to have an inventory of several thousand tons of various agents. These agents included sulfur mustard, phosgene, cyanide, and nerve agents, both weaponized and bulk. In the second of the Sect. 721 reports in 2000 it said only that Iran "probably" had nerve agents. Between the early 1990s and the early 2000s, Iran appeared and was reported by US intelligence sources to have placed a high priority on its CW program because of its inability to respond in kind to Iraq's chemical attacks, and the discovery of substantial Iraqi efforts with advanced agents, such as the highly persistent nerve agent VX. As Iran became more self-sufficient at producing chemical agents, there was a potential that it could become a supplier to others trying to develop CW capabilities. Iran reportedly supplied Libya with chemical agents in 1987. From 2003 to the latest reports in 2007 the US intelligence community appeared to have been softening its view on the extent of Iran's chemical weapon's production and stockpiles. The first Sect 721 report of 2003 claimed Iran "likely has already stockpiled blister, blood choking, and probably nerve agents." The Sec. 721 report, publicly released in May 2006, but covering activities in 2004, made no reference to stockpiles and delivery systems. What remained was a statement that Iran "continued to seek production technology, training, and expertise from foreign entities that could further Tehran's efforts to achieve an indigenous capability to produce nerve agents." The 2007 report stated that "Iran has a large and growing commercial chemical industry that could be used to support a chemical agent mobilization capability." Most of the facilities linked to Iran's chemical weapons program were ostensibly for civilian purposes, whether that was civilian research or industrial production of chemicals. 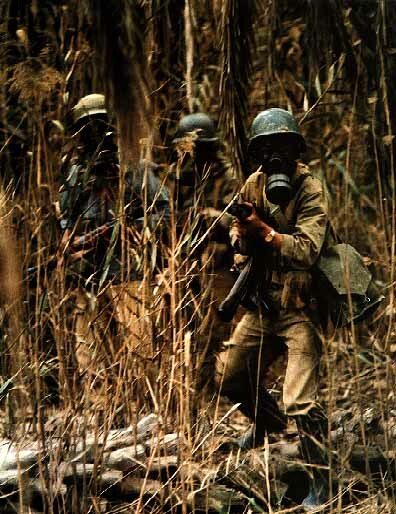 Many dealt with chemicals that could be precursors to chemical weapons, and could be rapidly converted to such production if they were in fact not already engaged in such activity. The February 2008 testimony to the SSCI by DNI Mike McConnell, he stated that: "Tehran maintains dual-use facilities intended to produce CW agent in times of need and conducts research that may have offensive applications. We assess Iran maintains a capability to weaponize CW agents in a variety of delivery systems." The reasoning behind the change in the intelligence community's stance was not known, but two theories were suggested. It was possible that since 2003 there had been evidence that required a change in the projected size and scope of Iran's CW program. It was also possible that the consequences of the problematic intelligence from the CIA concerning Iraq prompted a second look at the chemical weapon intelligence that has been collected. In an 14 January 2008 interview before the Israeli Knesset the Israeli Military Intelligence research chief Brigadier General Yossi Kuperwasser said that "the possibility certainly exists" for Iran to supply chemical weapons to Hezbollah. This suggested that Israeli intelligence held open the possibility either that Iran had covertly retained undeclared stocks of chemical weapons, or that such agents could be quickly (and possibly covertly) manufactured. Iran has not declared all its chemical weapons capabilities to the global chemical warfare watchdog in The Hague, in breach of international agreements, the U.S. ambassador to the organization said on 22 November 2018. Ambassador Kenneth Ward told the Organization for the Prohibition of Chemical Weapons (OPCW) that Iran has failed to declare a production facility for the filling of aerial bombs and maintains a program to obtain banned toxic munitions. "The United States has had longstanding concerns that Iran maintains a chemical-weapons program that it failed to declare to the OPCW," Ward said. "The United States is also concerned that Iran is pursuing central nervous system-acting chemicals for offensive purposes," he added. There was no immediate reaction from Iran to Ward’s remarks, which add to tensions with Washington over Iran's nuclear program, terrorism, and the war in Syria.